Just in time for the release of Grand Theft Auto V on PC tomorrow, Nvidia has released a new GeForce Game Ready graphics driver, version 350.12. This driver is specifically targeted at GTA V, ensuring that it will run smoothly on Nvidia-powered gaming systems. GTA V supports a large range of Nvidia technologies, including 3D Vision, Surround (up to 4K Surround if you have a beastly computer), Dynamic Super Resolution, MFAA, Percentage Closer Soft Shadows (PCSS), SLI, and TXAA. Also supported, as you'd expect, are G-Sync (and G-Sync Surround), GeForce Experience optimization, GameStream, and 4K. The GeForce 350.12 driver also adds a number of new SLI profiles aside from the one for Grand Theft Auto V. The SLI profile for Project Cars has been updated, while you'll also find new profiles for Assassin's Creed Rogue, Oddworld: New 'n' Tasty, and Victor Vran. 3D Vision profiles have been added for Heroes of the Storm and Mortal Kombat X.
GeForce Experience will update you to the latest driver automatically, or you can download the new driver yourself from Nvidia's driver website. 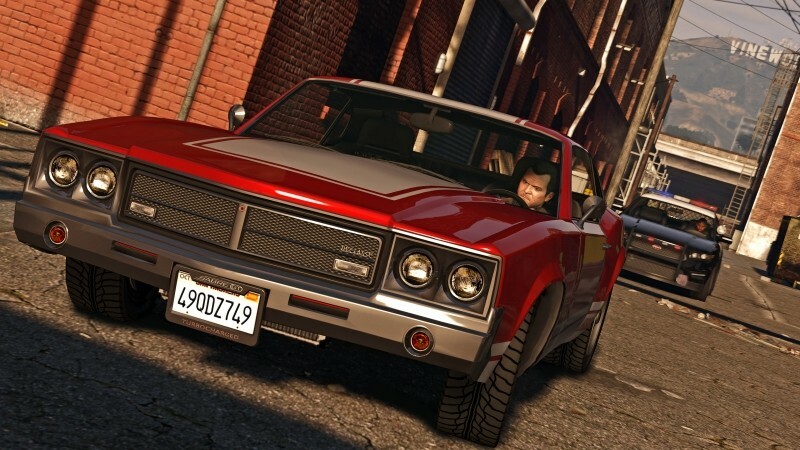 For those of you waiting for Grand Theft Auto V to hit PC on April 14, this is basically a mandatory driver update.